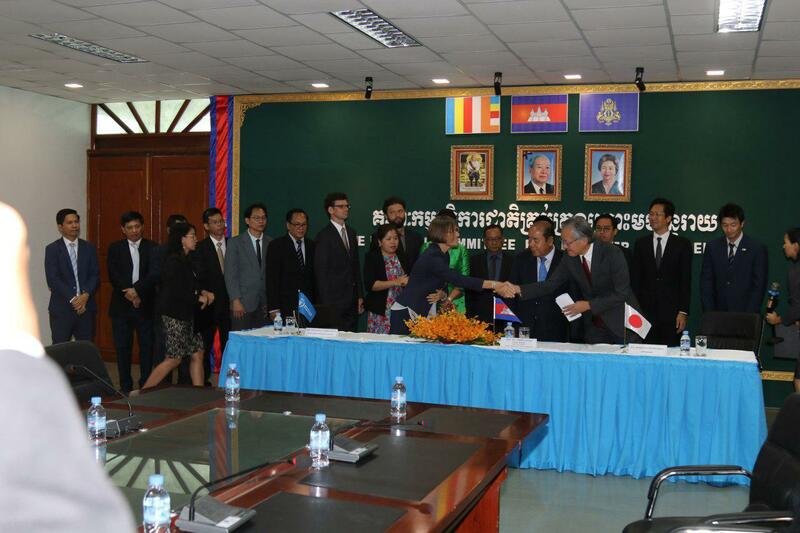 Phnom Penh (FN), March 21 – The Government of Japan has provided a total grant of USD 2.7 million for the development of disaster prevention project in Cambodia. 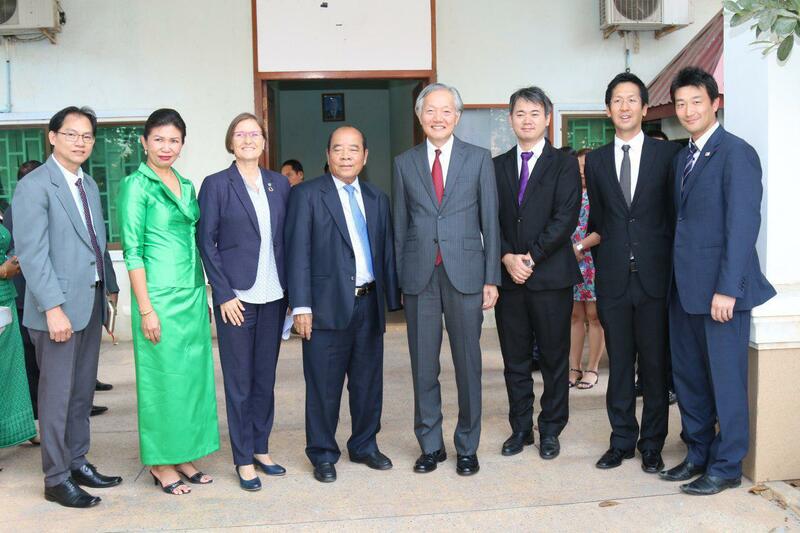 The grant signing ceremony was held on Thursday at the National Committee for Disaster Management, presided over by Japanese Ambassador to Cambodia Hidehisa Horinouchi, and the two grant receiving entities, World Food Program Cambodia director Francesca Erdelmann; and Nhim Vannda, Head of Committee of National Disaster Management. 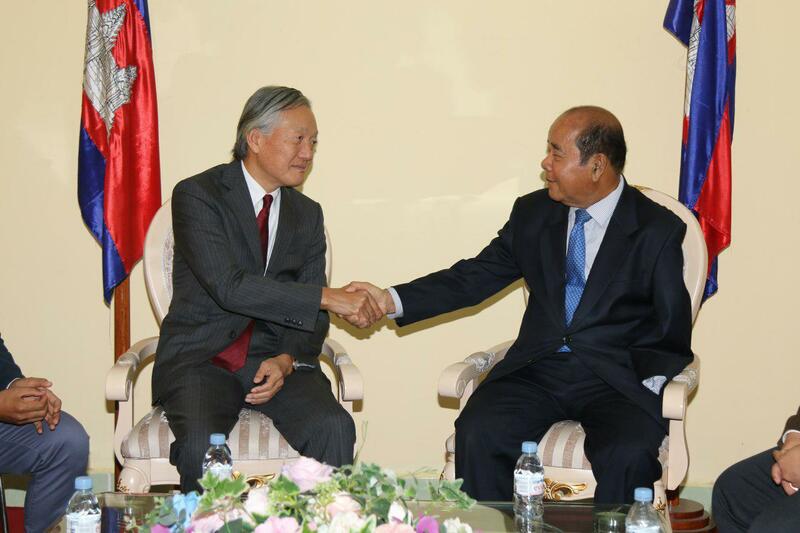 Japanese Ambassador to Cambodia said that the evacuation of people and community from the affected area is the current challenge of the kingdom. 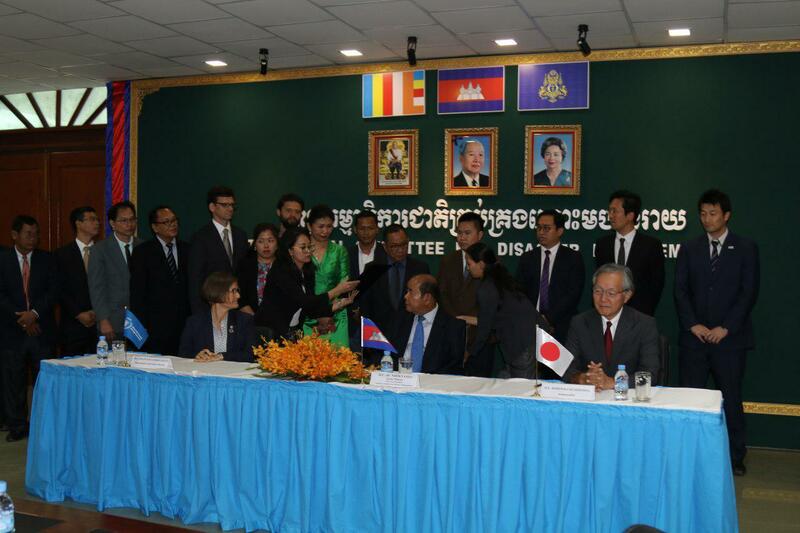 Japanese government's assistance aims to mitigate gruesome feeling for local communities in flood-prone areas in Cambodia by introducing disaster risk reduction, emergency, and disaster relief mechanisms. 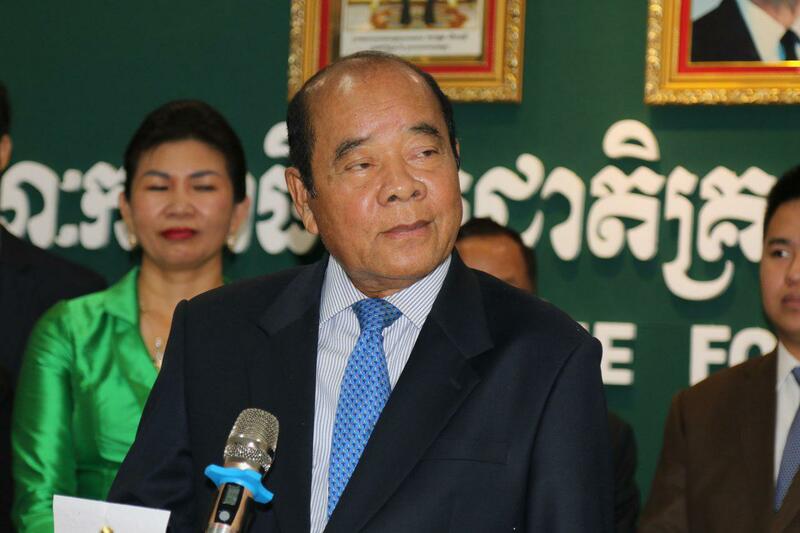 Cambodia is highly vulnerable to natural disasters with regular monsoon flooding in the Mekong and Tonle Sap basin. WFP has been working in Cambodia since 1979, initially helping the country recover from conflict and then focusing on sustainable development. WFP aims to improve food and nutrition security in vulnerable communities, at the same time as building longer-term resilience through better education, health and the creation of infrastructure and other community assets. Francesca Erdelmann said that 2019 marks the 40th anniversary that WFP supports Cambodia, and that she is proud to serve Cambodia and committed to promoting the welfare of Cambodian people. 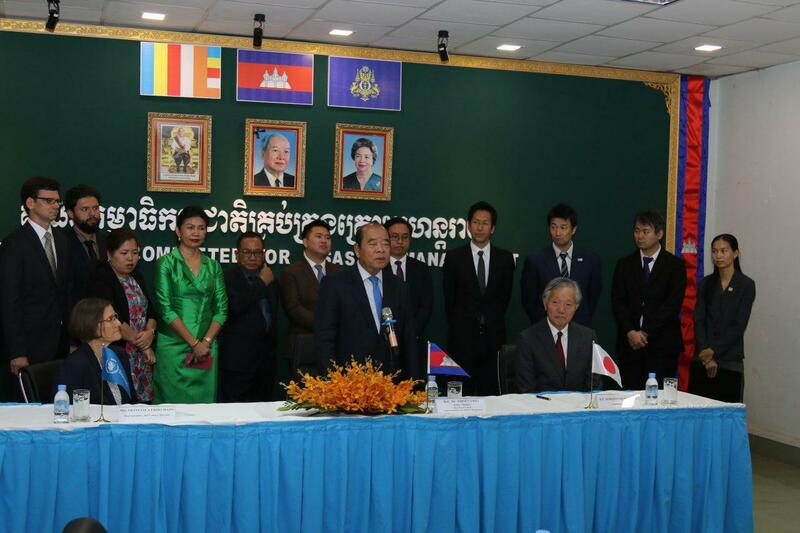 Nhim Vannda, on behalf of the Royal Government of Cambodia, expressed his deep gratitude to Japan for its continued support to Cambodia and called Cambodia-Japan relations “ironclad”.